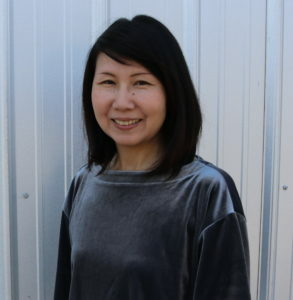 Keiko considers Japanese her dominant language, and while searching for a job, Keiko noticed her English proficiency was preventing her from connecting with and gaining trust of potential employers. She began to doubt her capabilities, “I thought something was wrong with me because my English was a problem.” In 2017, Keiko visited the Vermont Department of Labor to seek assistance in finding a new job. It was here that she met Heather Newcomb, the Step In To Work Program Manager at Vermont Works for Women (VWW). Heather connected Keiko with Step In To Work (SITW), a work-readiness program at VWW that helps women find meaningful work. “Often, the skills you need to find a job are not necessarily the skills you need for the job,” says Rachel Kauppila, Job Developer at VWW. This is particularly true for Keiko, who had experience in accounting, spreadsheets, and database management, but found it difficult to communicate her accomplishments during the job search process. “[Keiko has] a lot of strengths, but with the lack of confidence in her language, she had a hard time putting herself out there to get a job,” Rachel says.